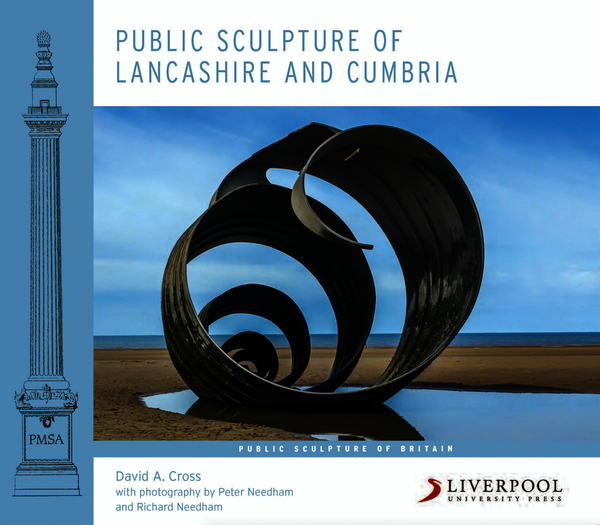 Public Sculpture of Lancashire and Cumbria is a fascinating book that provides much needed attention to the best public sculpture and monuments in these north-west counties. With an invaluable introduction and notes, the author highlights in particular works of art that are in need of restoration or protection by local authorities and other owners.The art works included are mostly in urban areas however some are tucked away on moors and hilltops, and can be reached by a modest walk, and are thus less familiar. Many entries are accompanied by original photographs, often showing details of the craftsmanship. This book highlights the brilliant work of local sculptors, including several women, who have been neglected over the years and were suppressed by the usual dominance of craftsmen from London and the south east. Their biographies appear at the end of the book.Locations of the public sculpture are given and each dedicated entry provides a description and the measurements of the sculpture; records its inscriptions and its condition; the reason for its commemoration; the chief advocate and process of the commission; its sources of funding and cost; the choice of artist and source of the materials; the relationship between the artist and the architect; the name of the bronze founder or builder; the historical and political context; and the date and details of the unveiling ceremony. It is a work which will remain an invaluable source of reference for years to come. But it will also make us look again at the many fine works of art that are to be seen in our public places, in the churches and cathedrals, the streets and the parks and at the entrances to football grounds. David A. Cross was born in Barrow-in-Furness and graduated from Durham University, taking his M.A. (by research) at Lancaster University, followed some years later by his Ph.D. He taught English in both independent and maintained schools. After 1987 he contributed to extra-mural art history classes for Liverpool, Lancaster and Newcastle Universities and now lives in Carlisle. An honorary research fellow of University College, Durham he is the most recent biographer of George Romney. Brothers Peter and Richard Needham have been exploring the medium of black and white photography for many years. They both studied under the English Teacher and Architectural Photographer Peter Burton at Scarborough College in the 1970s. Brothers Peter and Richard Needham have been exploring the medium of black and white photography for many years. They both studied under the English Teacher and Architectural Photographer Peter Burton at Scarborough College in the 1970s.